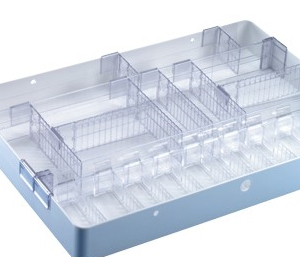 Exchange trays with dividers for any department, in every configuration. Trays available in any size. Besides our molded 3" High Standard Trays (white, blue, and red), 5" High Standard Trays, and Half Sizes Trays, we manufacture various sizes from one to thousands of pieces. The dividers are removable and adjustable, which can be customized to accommodate changes. Exclusive sliding dividers, custom labeling, and security bags can help you organize all your storage. 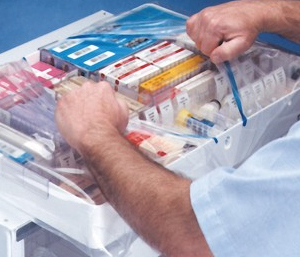 Designed for use in a variety of healthcare environments, innovative products from Akro-Mils will help keep supplies, equipment and other items more secure and dust-free. These versatile work-in-process transfer containers can be customized with optional crosswise and lengthwise dividers. AkroBins and Shelf Bins made from 100% recycled material. 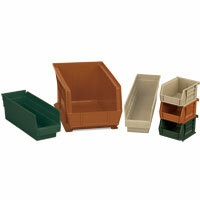 The EarthSaver® Series offers an eco-friendly choice in storage and organization products! 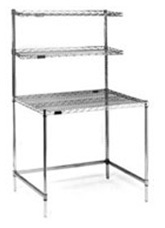 The industry standard, heavy-duty AkroBins® stack on shelves and hang on Akro-Mils racks, panels and rails. New Beige Models! Take back more valuable floor space - maximize parts storage and handling efficiency. 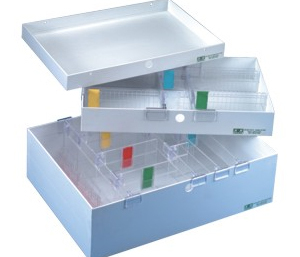 Cover, store, protect and more, for secure, dust-free organization. 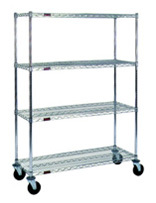 Features a variety of special bundled packages, including stackable cabinets and shelves, racks or mobile carts. Angled shelves keep supplies at the front for easy access. Bin cabinets are perfect for protecting parts and products from dust, damage, and theft. Time saving. Smart working and innovative, the ProCart™ converts from a box-top to flat-top utility cart. Go Deep! 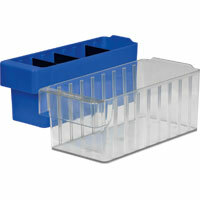 Maximize your storage capacity with 6" high ShelfMax® bins. Three New Sizes! High quality, steel louvered rack and panel system that interworks with AkroBins to cut costs, improve productivity and enhance patient care. The Dividable VantageBin™ is perfect for standard shelving and ideal for many applications. 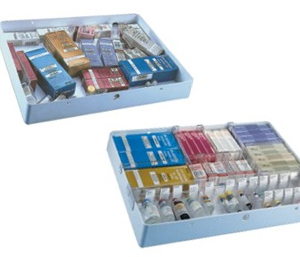 Easy to assemble shelving allows for quick identification and retrieval of supplies.